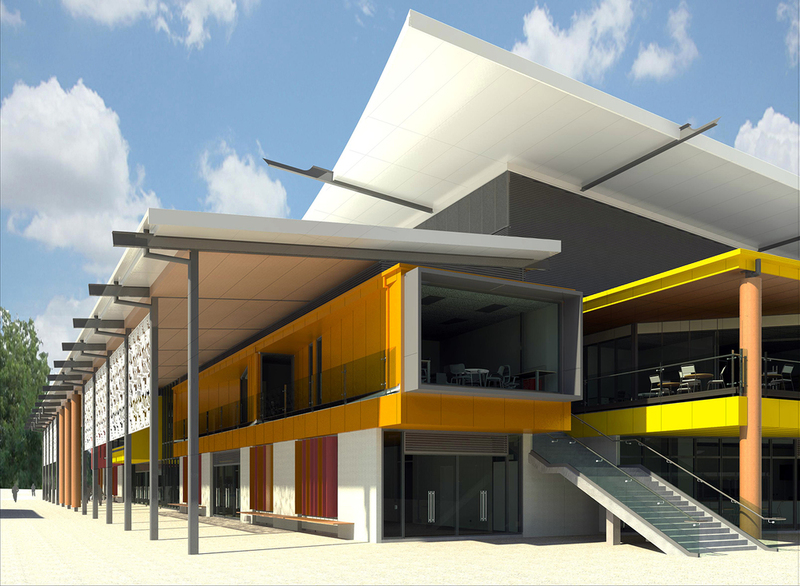 S&T is proud to be involved in the design for an international-level netball stadium in Papua New Guinea (PNG). Working in association with Korana Consultants, the facility was constructed in preparation for the 15th Pacific Games to be held in Port Moresby in July 2015 in which 3000 athletes from 22 Pacific Nations competed. The year is also an important one for the country as it will mark the 40th anniversary of PNG’s independence. Netball is the number one sport played by women in PNG and this facility will be one of the major legacies of the Games. Previously there have only been outdoor courts on this particular site. Three competition-level netball courts adjacent to each other in one main hall. The three court will be able to be re-arranged in to a single court for high-profile competitions. Seating for 3,000 spectators formed with a combination of fixed seating at an upper level and retractable seating in the main hall. A fitness gymnasium for 30 people which has the ability to be either separately tenanted or run by Netball PNG or National Capital District Commission. Corporate room and conference space each seating approximately 30 people, and a smaller meeting room with seating for 8. Public toilets to cater for typical loads associated with peak numbers at a large sporting event. Four team change rooms and referee change rooms, including toilets, shower and locker rooms with a additional separate space for first aid and drug testing. Dedicated storage space to serve both indoor sports halls, the outdoor courts. A provisional area for a future kitchen for catering for events. Office space for 5 to 6 administration staff for Netball PNG and the local netball associations and one additional office with a staff room including a kitchen bench. The stadium is named after Rita Flynn who has played an important part in the establishment of PNG’s netball association.